Cedarcroft Farm: Your home for Country Hospitality * Country Quiet * More-than-you-can-eat Country Cooking. Our National Register farmstead sits amid 80 acres of woods, creeks & meadows, where guests spot deer or wild turkey. 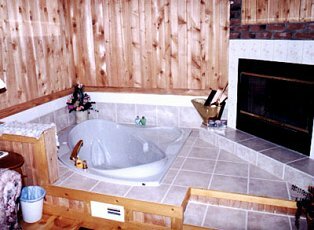 The Cottage on the Knoll has every romantic amenity - king bed, fireplace, thermal tub, seclusion and more. 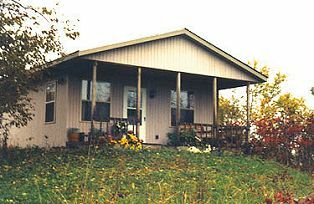 2003 Rates: (plus tax) $185-$225, 2 guests. Smoking restricted, children ask, no pets. Deposit\guarantee required, 14 days cancellation policy, major credit cards accepted. Cedarcroft is inspected & approved by BBIM. This and other Ozark Bed and Breakfast Inns can be found here in The Register.